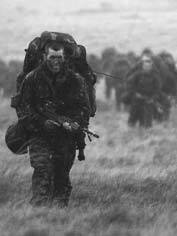 The Royal Marines are proud of their history, and adhere to a long respected ethos. Find out exactly what makes them so special, what they believe and why they do things the way they do. The origins of the Brigade can be traced to the formation of the first commando units after the British Army's retreat from Dunkirk in 1940. Here you can study their heritage and examine the ethos that helps make them a truly elite fighting force.